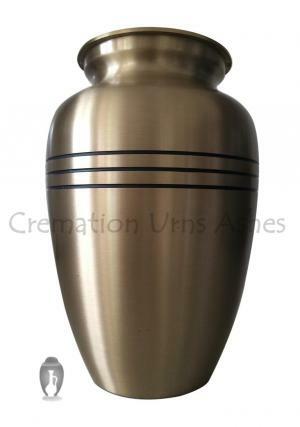 » Large urn for adult ashes made of quality brass. A simple, hand designed motif runs around the breast of the urn, recalling classic design from Egyptian funerary urns to the Ancient Greek funeral pots. The polished bronze shines gently, bringing the design into clear relief, and is offset by a matching polished bronze half-domed lid. The lid of this urn is fitted with reliable, secure screw threads - ensuring a completely trustworthy seal once the pot has been filled. 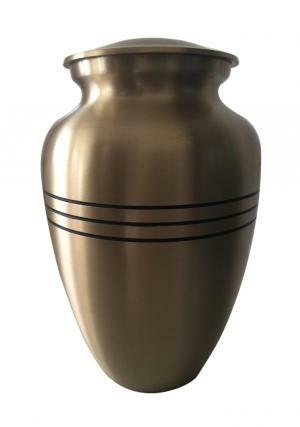 The Classic Bronze Urn is 2 kgs in weight, when unfilled. 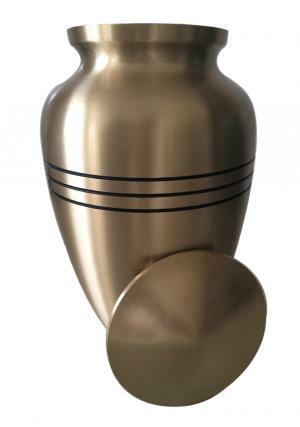 Like all of our adult urns it takes the full ashes of a cremated adult. 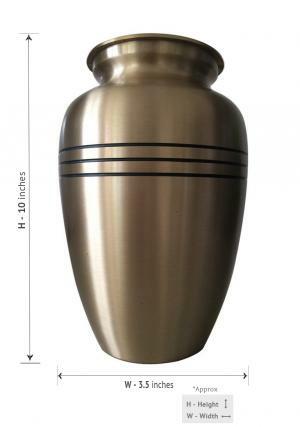 The urn is 10" height. All of our adult urns can be personalised, for a small extra fee. We are also able to create bespoke urn designs, again for an extra fee. 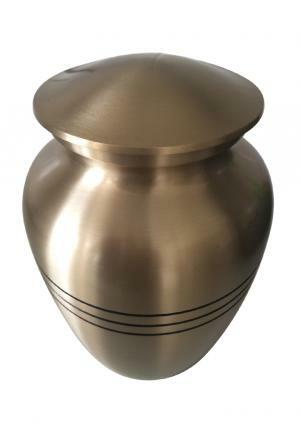 Please allow between 2 and 5 working days to personalise your bronze urn. Contact our friendly and helpful customer services team by emailing cs@cremationurnsashes.com, to request a personalised urn or a bespoke design. If you would like any help choosing the perfect urn for your memorial requirements, feel free to let us know. We'd be glad to help. Delivery is free to any mainland UK address. For delivery beyond the mainland UK and to Europe or the rest of the world, please apply to our customer services team for times and prices.